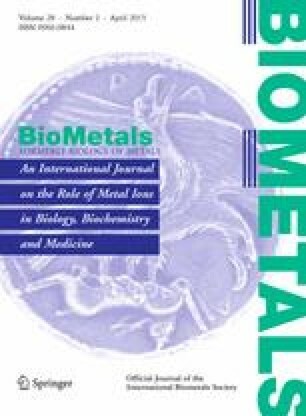 The reactions of four representative metallodrugs with the model protein HEWL were investigated within a non-aqueous environment-i.e. in pure DMSO- through UV–Vis absorption spectroscopy and ESI MS analysis. Notably, formation of a variety of metallodrug-protein adducts was clearly documented. This is the first example for this kind of protein metalation reactions carried out within a pure organic solvent. It is shown that the applied solution conditions greatly affect the nature of the formed adducts, this being well accounted for by the fact that the overall protein conformation is greatly perturbed within pure DMSO; in addition, the activation profiles of the studied metallodrugs are also highly dependent on the nature of the solvent. The implications of these results are discussed. Beneficentia Stiftung, CIRCMSB and COST ACTION CM-1105 are gratefully acknowledged for generous financial support.